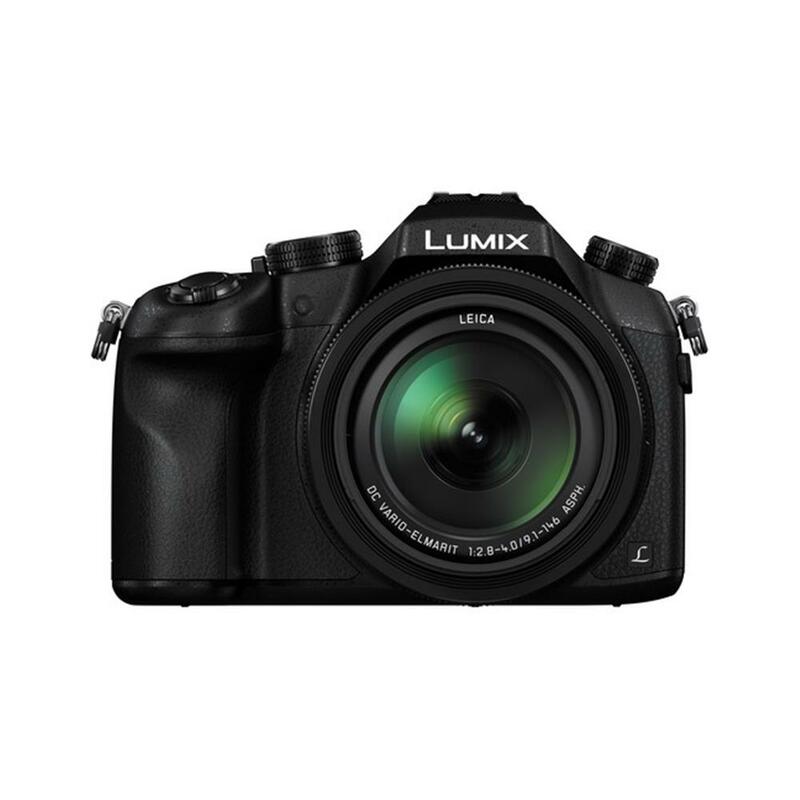 Henrys.com : PANASONIC DMC-FZ1000 BLACK 1" 20MP 16X 4K 3"
PANASONIC DMC-FZ1000 BLACK 1" 20MP 16X 4K 3"
If you're looking for an uncompromising DSLR Kit replacement, check out the LUMIX FZ1000. 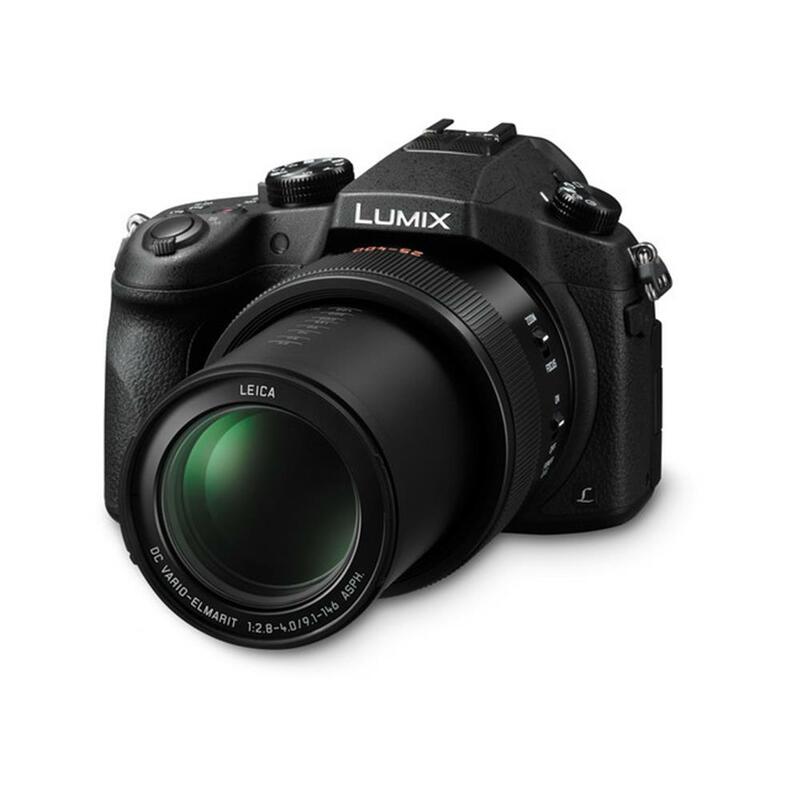 Featuring a large 1-inch sensor and a new bright LEICA lens with 16x optical zoom, it brings everything up close with premium image quality. Choose photo or video recording in crisp 4K resolution to capture the world around you in all of its natural beauty. 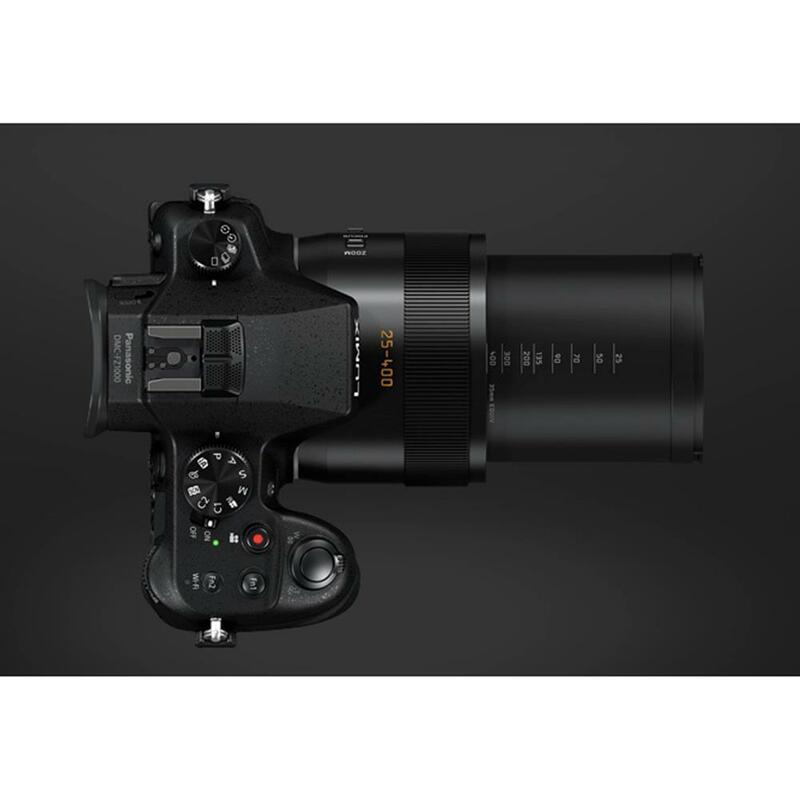 The newly developed LEICA DC VARIO-ELMARIT lens features 5 aspherical glass lenses, which are made possible by Panasonic's unique aspherical lens mold technology. 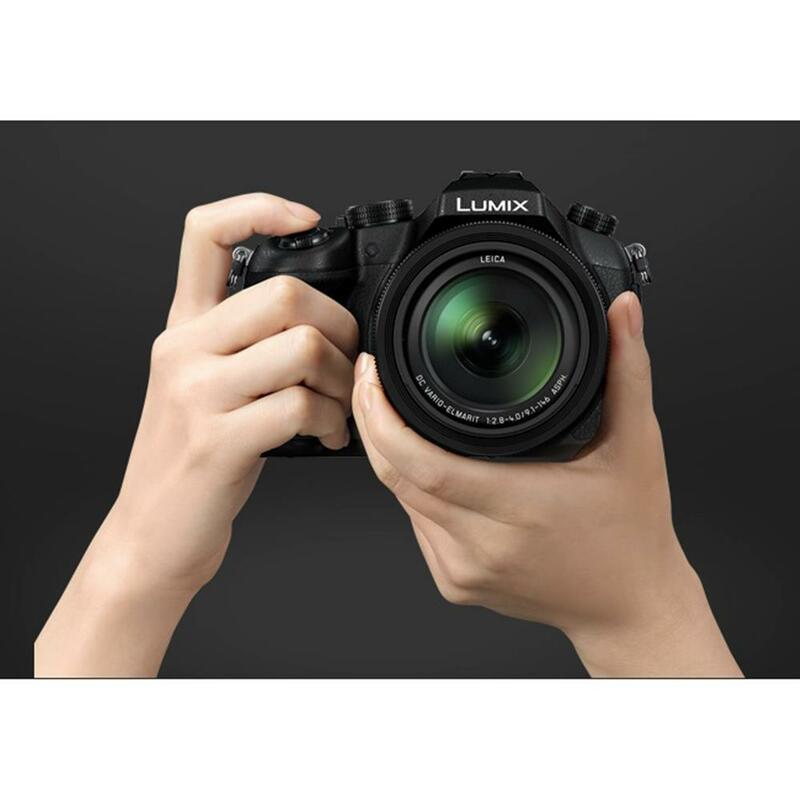 In combination with the large 1-inch MOS sensor your photos will get a shallow depth of field with an impressive defocus effect featuring invisible edge lines. The newly developed Venus Engine features multiple noise reduction systems such as Multi Process NR, Random Filter and Aperture Filter to achieve high color reproduction and high image quality with natural description. The combination of the High Sensitivity MOS Sensor and the Venus Engine achieves stunning picture quality going beyond the traditional limits of digital compact cameras. With the new FZ1000 you can capture stunning macro shots with a minimum focusing distance of 3cm. Get close enough to express spectacular details of blooming flowers, colourful insects or unique stones among riverbeds. 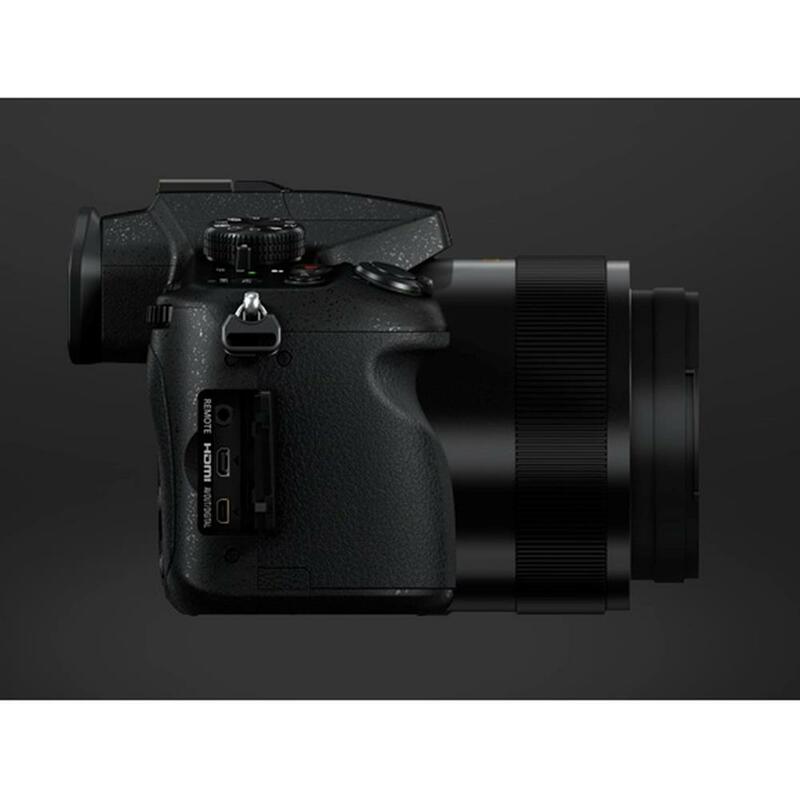 Besides its incredibly detailed 4K video recording capability (QFHD 4K: 3840x2160, 25 fps in MP4)* the new FZ1000 is also proposing a new way of photo creation. By cutting out a 3840x2160 8 Megapixel equivalent still image from the 4K video footage you can photograph the spur-of-the-moment which often missed in still image photography. * 4K video can be recorded up to 29 minutes 59 second. During video recording the 16x optical zoom function is available, too. As an advanced function, the FZ1000 offers controlled zoom operation in five electronic zoom speeds from low to fast to match each shooting situation. The incorporated HYBRID O.I.S.+ with 5-axis correction enables blur-free one-handed video recording. It detects and compensates for the camera's 5 types of movement – horizontal, vertical, axis of rotation, vertical rotation and horizontal rotation. The Level Shot Function of the FZ1000 detects the image's horizontal line and maintains it even if the camera is tilted. With the new FZ1000 you can record high-speed videos at 100fps in Full HD quality and even play them back in dramatic slow motion - 5 times slower than the original recording. The FZ1000's newly integrated liner motor into the focus system achieves approx. 300% faster* focusing. The new DFD (Depth From Defocus) technology also shortens the time to set focus. It instantaneously calculates the distance to the subject by evaluating 2 images with different sharpness levels. As a result, ultra high speed AF of approx.0.08 sec**is achieved. High shutter speed at max. 1/4000 sec (at wide-end) / 1/3000 sec (at tele-end) enables you to capture spur-of-the-moment of fast moving subject. It also allows you to open the aperture even outdoors. Max. 1/16000 sec with an electronic shutter reduces washouts even under strong sunlight. 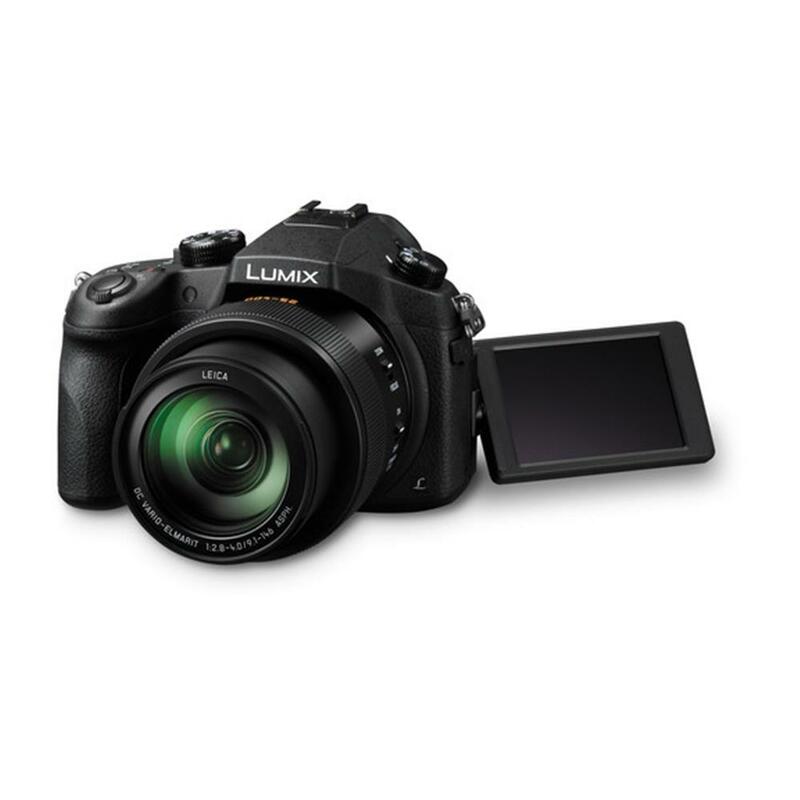 High speed burst shooting can be shot at 12fps in 20.1 Megapixel full resolution. Together with the quick start-up of approx. 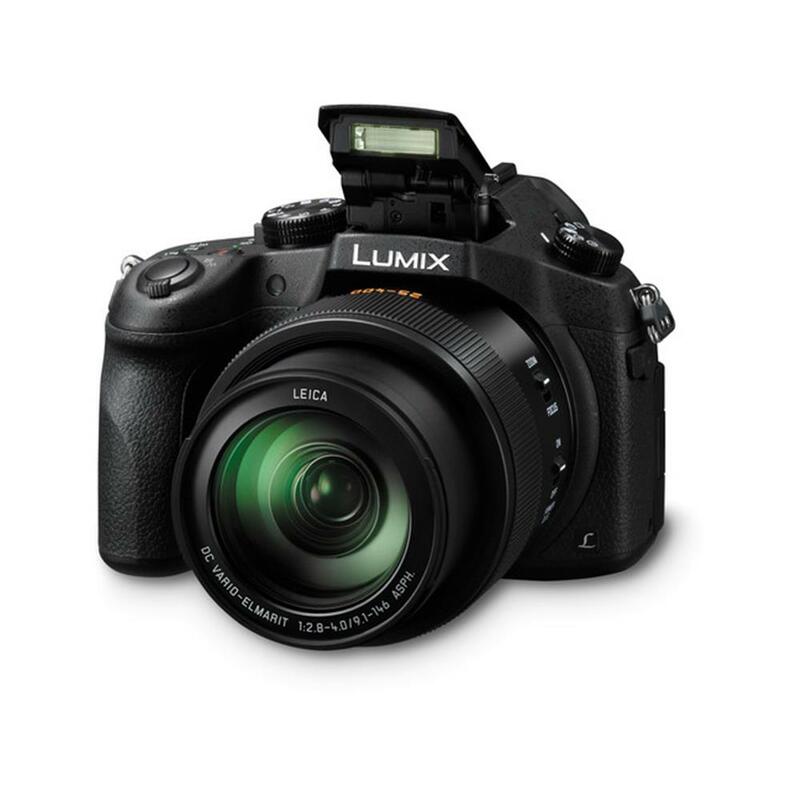 0.7 sec* and short release time lag, the FZ1000 never lets photographers miss fleeting photographic opportunities. 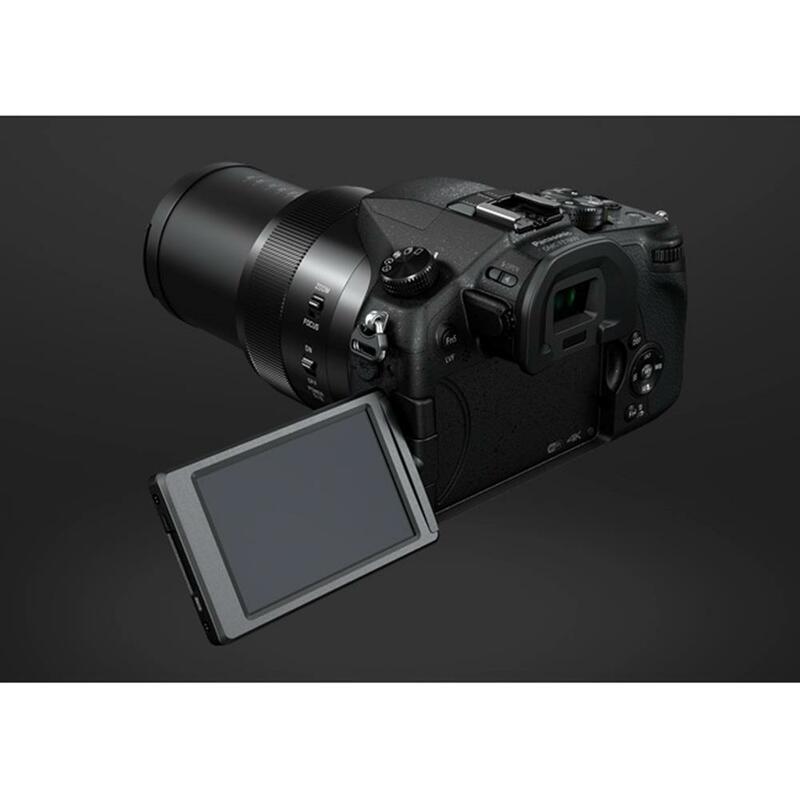 The FZ1000 boasts a 2.359K-dot OLED LVF (Live View Finder) that assures stable framing and superb visibility even at high magnification and under strong sunlight. The OLED display achieves high-speed response with minimum time lag while enhancing resolution, as well as 10,000:1 high contrast for superior colour reproduction. A free-angle 921K-dot LCD also enables artistic framing. Low Light AF makes it possible to set focus on the subject more precisely in -4EV dimly lit situations which is as fark as a starry sky with no other light source. Pinpoint AF allows you to set magnification from 3x to 10x enlargement in 0.1x steps. It assists, for example, setting focus right on the pupil in an eye. Simply touching an NFC-compatible smartphone / tablet to the camera, or scanning the QR code connects Wi-Fi. You can instantly upload and share your images on SNS using the "Panasonic Image App" on a smartphone / tablet. You can tag the location information to the image by utilizing the GPS log of a smartphone / tablet and share it to the preferred SNS. Creative Control lets you add artistic and original expression to photos and videos. You can also create vertical / horizontal panoramic photos with a unique touch just by swiveling the camera. 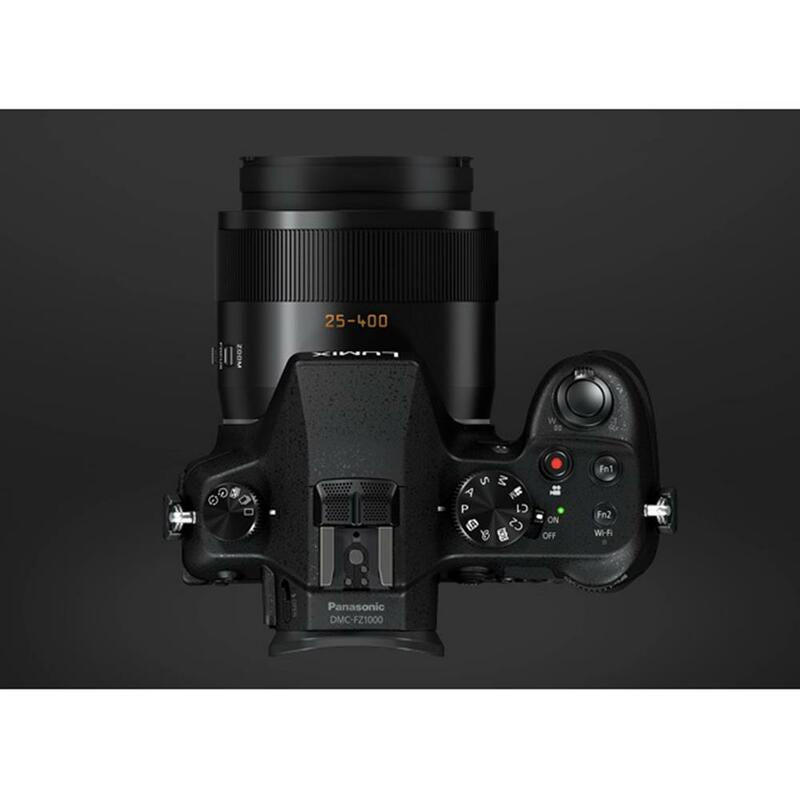 The manual ring, which is comfortably operated by the left hand, can also be switched for use in zooming and focusing. It provides natural, intuitive operation. Focus Peaking visually highights the areas of the picture that is currently in focus - so you can be sure not to be off with your desired focus setting. It is also available in remote photo/video shooting with smartphone/tablet via Wi-Fi. 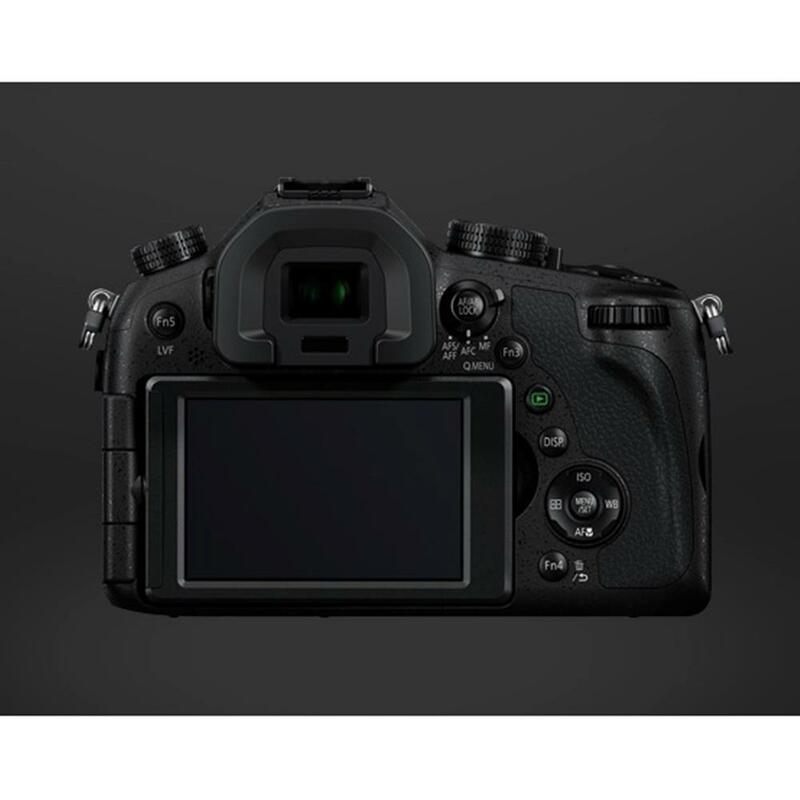 The FZ1000 can record RAW-format images inside the camera, to adjust the following settings: Color Space Setting (sRGB / AdobeRGB), White Balance, Exposure Compensation, Photo Style, Intelligent D-range Control, Contrast, Highlight / Shadow, Saturation, Noise Reduction, Intelligent Resolution, Sharpness.